This comprehensive IT Leadership Certification Process is available exclusively through College Market Institute (CMI). 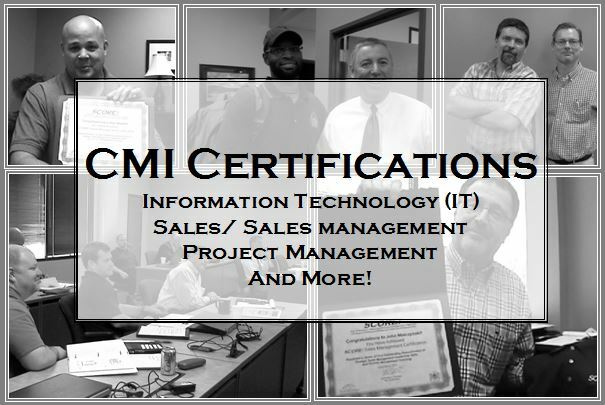 CMI / IT3 brings valuable, tangible recognition to Information Technology professionals, their managers, and the organizations that employ them. Rigorous criteria apply. 1) Client Focus | Measured via direct client feedback program continuously administered by CMI Assessments. 2) Leadership Acumen | Confirmed via direct peer review program administered by CMI Assessments. 3) Technical Expertise | Certified via Microsoft, Cisco, Adobe, Oracle, and other qualified certification programs. To apply, you must be an IT Professional with one of the following current professional certifications. 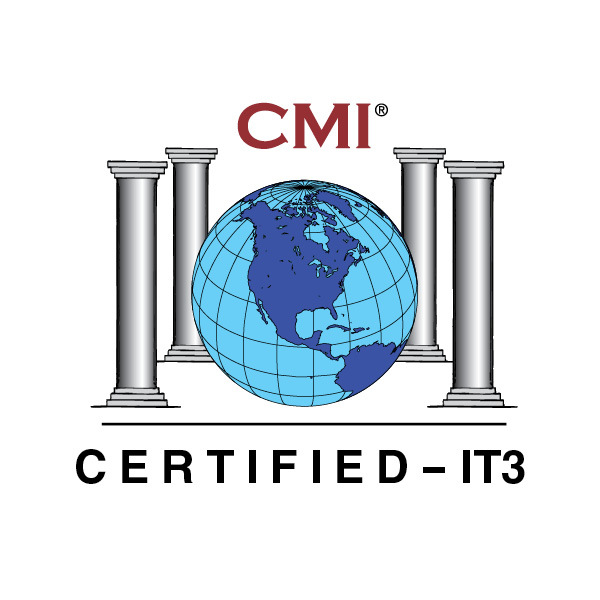 Important Note: Proof of current certification status is required throughout the duration of your CMI / IT3 designation. Failure to provide proper documentation can result in suspension and/or termination of your CMI / IT3 certification. This comprehensive Leadership Certification Process for Professional Project Managers is available exclusively through College Market Institute (CMI). 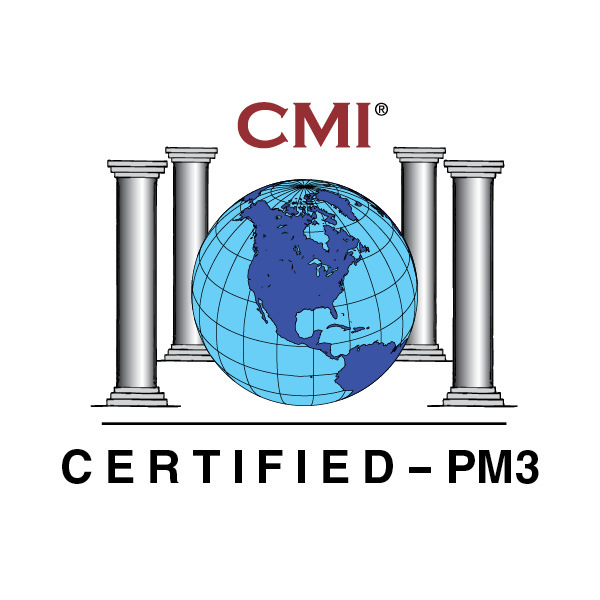 CMI / PM3 brings valuable, tangible recognition to project management professionals, their managers, and the organizations that employ them. Rigorous criteria apply. 2) Leadership Acumen | Confirmed via direct peer review program consistently administered by CMI Assessments. 3) Project Management Expertise | Certified via PMI qualified certification programs. To apply, you must be a Project Manager with one of the following current PMI professional certifications. Important Note: Proof of current certification status is required throughout the duration of your CMI / PM3 designation. Failure to provide proper documentation can result in suspension and/or termination of your CMI / PM3 certification. This comprehensive Leadership Certification Process for Professional Logisticians is available exclusively through College Market Institute (CMI). CMI / LG3 brings valuable, tangible recognition to project management professionals, their managers, and the organizations that employ them. Rigorous criteria apply. 3) Supply Chain Management Expertise | Certified via SCM qualified certification programs. To apply, you must be a Logistician with one of the following current SCM professional certifications. Important Note: Proof of current certification status is required throughout the duration of your CMI / LG3 designation. Failure to provide proper documentation can result in suspension and/or termination of your CMI / LG3 certification.